We've been posting a lot about Florida lately, so for a change of pace (or paste as I used to say when I was a kid) here's a rerun of a roadside delight from West Virginia we posted a few years ago. An online search indicates they have since refurbished the teapot with a different font, but you get the idea. I like states with panhandles. They're kinda kooky. Florida has so much coastline...did they really have to rob more of the Gulf from poor Alabama? And couldn't Oklahoma and Texas have reached some geometric agreement and squared each other off? 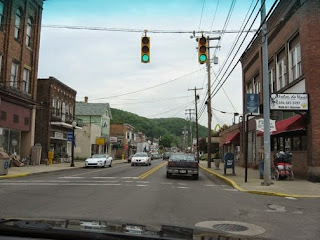 The goofiest panhandle of all is West Virginia's, though. It's a tall spindly thing that begs the question "What kind of cooking implement has a crazy handle like this?" 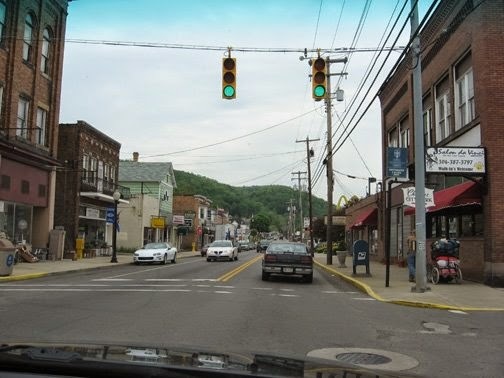 It's almost as though West Virginia said to eastern Ohio and western Pennsylvania, "if you two can't get along, I'll separate you, so help me." 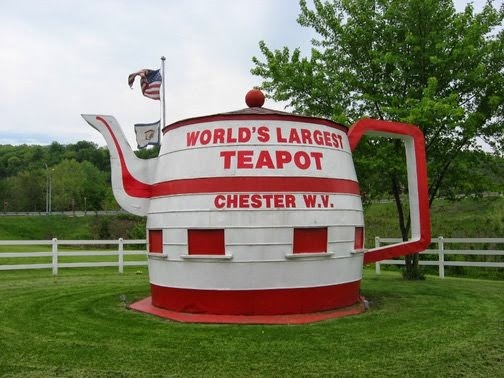 At the very tip of the West Virginia handle sits the little town of Chester and a truly great eccentric roadside attraction: a wooden structure that bills itself as the World's Largest Teapot. 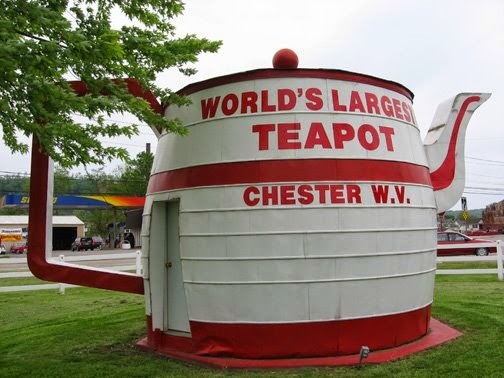 It dates back to 1938 when it was originally an over-sized barrel for a Hire's Root Beer advertising campaign. 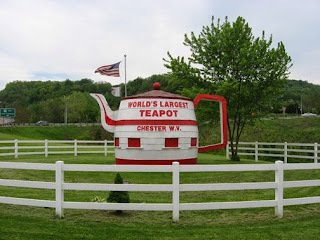 A fellow named William "Babe" Devon bought it and added the spout and handle to it and used it to promote his pottery store in Chester, selling concessions and souvenirs inside the teapot. 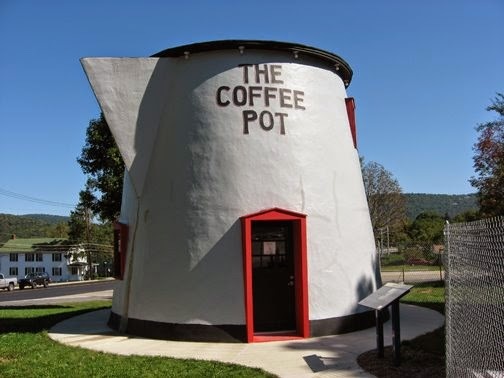 It changed hands many times and fell into disrepair and abandonment until a local committee saved it from demolition and began a full-blown restoration in 1987. Red tape persisted for several more years until it was finally completed and returned to its original splendor in 1990 and was moved to a prime spot of real estate at the intersection of Routes 2 and 30 with some lovely landscaping. It got another facelift in 2007 by the Hampton Hotels Save-A-Landmark program. God bless these people for keeping these bits of Americana alive and making a trip down the open road that much more fun. Letting a lovable place like this fade away would be a trageTEA.